You don’t need lots of land to enjoy fresh vegetables. 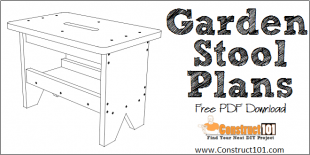 The raised garden bed plans here are designed for small areas. 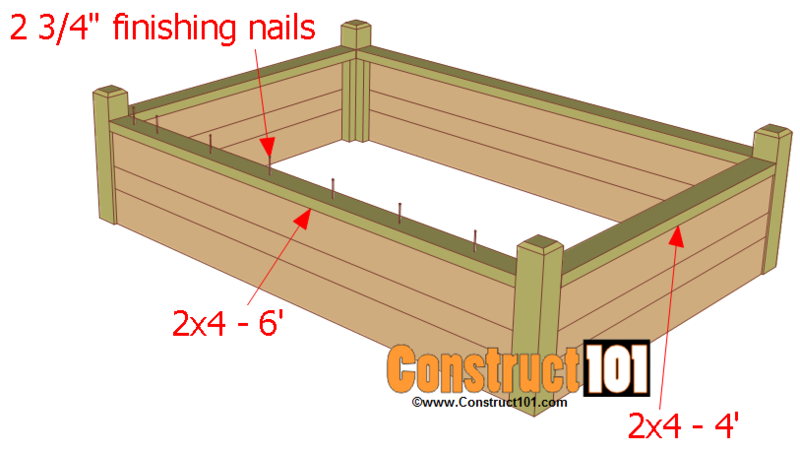 With some 2×4’s, 2×6’s and a 4×4 you can build an inexpensive raised garden bed that looks and functions well. This raised garden bed measures 4’x6′ and has a bench attached to it. 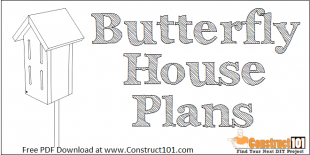 The instructions include how to build a raised garden bed with illustration, measurements, shopping list, and a cutting list. 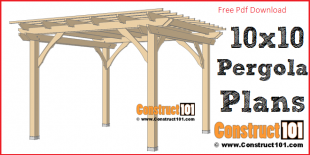 Before you begin building look for an area that gets plenty of sun light. 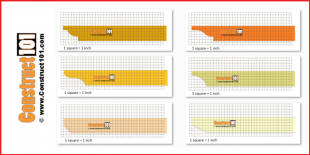 Once you have selected an area mark an outline of the size of the raised garden bed and level the area. Measure, cut, and lay landscaping fabric on the ground and begin building. Building the front and back. Cut four 2×6’s to 6′ and two 2×4’s to 6′. Rip a 2×4 in half and cut to 1′ 2 1/2″. Assemble as shown in illustration using 2 3/4″ deck screws. Building the sides. Cut four 2×6’s to 4′ and two 2×4’s to 4′. Rip a 2×4 in half and cut to 1′ 2 1/2″. Assemble as shown in illustration above using 2 3/4″ deck screws. Attach front, back, and sides to the 4×4 post. Cut four pieces of 4×4 to 1′ 8″. Optional you can bevel cut the top of the 4×4’s for a nicer look. Assemble as shown in illustration above using 2 3/4″ deck screws. Add the 2×4 trim to the top. 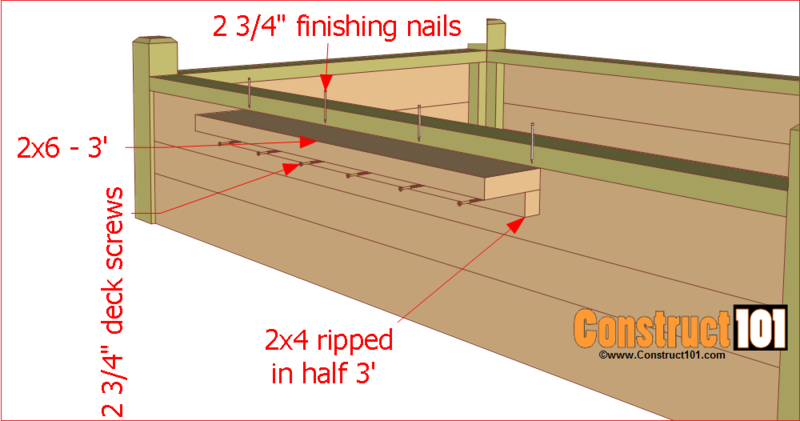 Cut two 2×4’s to 6′ and two 2×4’s to 4′, assemble as shown in illustration above using 2 3/4″ finishing nails. Building the bench. Rip a 2×4 in half, cut to 3′ and install as shown in illustration above using 2 3/4″ deck screws. Next cut a 2×6 to 3′ and install using 2 3/4″ finishing nails. Bench support details. Cut two pieces of 2×6 to 1′ 4″. Both ends will have a 45 degree angle cut in opposite direction. Finishing the bench. Cut a 2×6 to 2′ 7″. 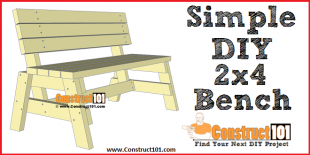 Screw the 2×6 bench support to the 2′ 7″ 2×6 with 2 3/4″ deck screws. 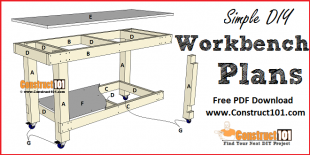 Screw through the 2×6 bench support and into the 2′ 7″ 2×6. 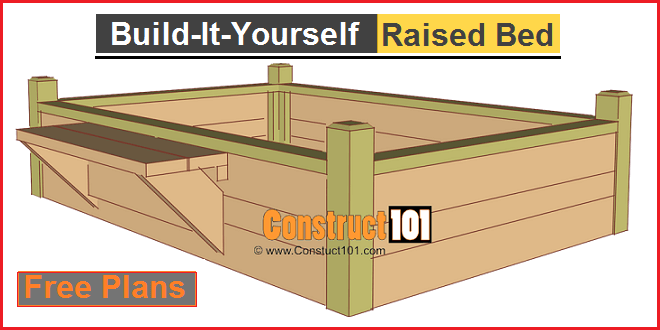 Attach to the raised garden bed as shown in illustration above using 2 3/4″ deck screws. 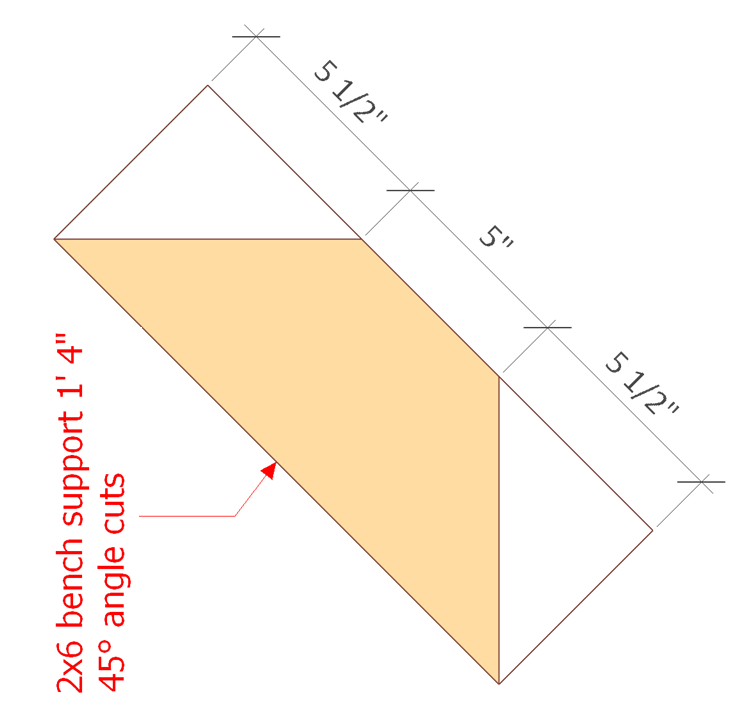 Next cut a 2×6 to 3′ for the bench seat. 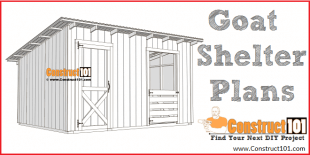 Install using 2 3/4″ finishing nail leaving a 1/4″ gap between the 2×6 bench seat boards. 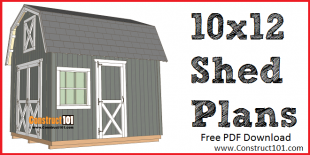 Like these raised garden bed plans? Let me know, leave me a comment below. Share this link with your friends and your social media, thanks. 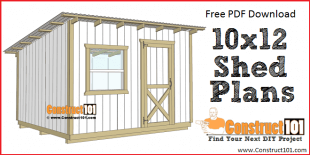 I keep seeing “free download” but I don’t see where to download the plans. The only file I see to download are PDF readers which I already have. Add to you shopping cart. Check out. You will get email with pdf file. Simple.